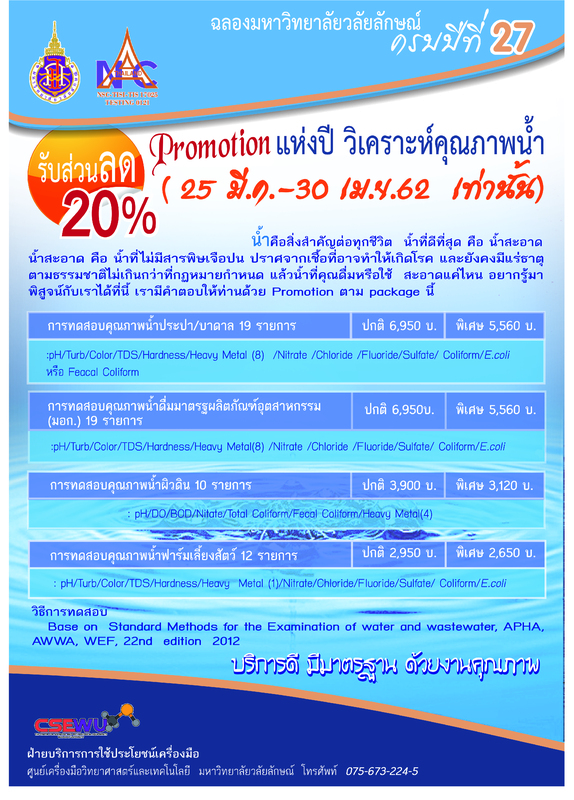 Home / News / The Center for Scientific and Technological Equipments Walailak University organized the Promotion of Water Quality Analysis Year to receive 20% discount (25 March – 30 April 2019 only). Previous The Center for Scientific and Technological Equipments Walailak University. Organized a science camp To 74 students in grade 4-5 from Sangthong Wittaya School, Songkhla Province on 6-7 March 2019. Next The Center for Scientific and Technological Equipments Walailak University. 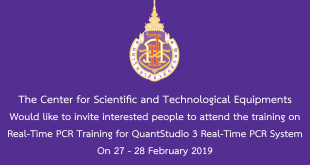 Organize training on the topic Scanning Electron Microscopy (SEM) techniques and applications from 25 – 26 March 2019.